Background: Lumbar discectomy is the most common operation in spinal surgery. Albeit rarely, it can cause severe complications such as vascular and visceral injuries. Case report: We report a case of a 30-year-old woman who developed acute abdomen on the third postoperative day following L5-S1 microdiscectomy. At the laparatomy, appendix was found to be partially transected at midlevel and appendectomy was performed. Her postoperative recovery was uneventful apart from the lumbar wound infection. Conclusions: Surgeons should be aware of visceral injury as a possible complication of discectomy and provide early diagnosis and treatment to prevent potentially fatal outcomes. 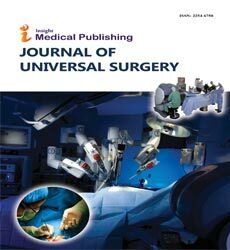 In addition, to our knowledge, we present the first case report of appendix injury secondary to microdiscectomy and a brief review of the literature on intestinal injuries following lumbar disc surgery.